I’m in the market for a new pair of neutral colored booties. I did a little window shopping this AM and wanted to share my findings. What do you think? 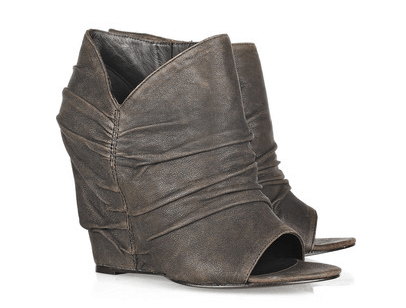 Halston Suede Platform Ankle Boots – ok these are more than $300… but they are HALSTON! I’ve got to go with the ASH Gathered Suede Ankle Boots. Looks like a very versatile shoe that screams fashion while still being practical. 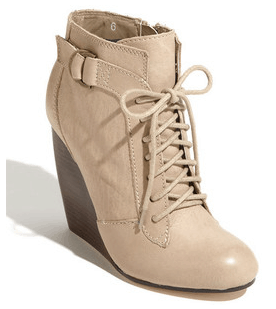 Ok, on second thought maybe the Elizabeth and James Ruched Leather Ankle Boots. I seem to have better luck with leather as opposed to suede in regards to the longevity of the shoe. My favorite is the Betsey Johnson Daynaa. Wish I could afford them! This is also my entry to the VCA $50 AMEX CARD GIVEAWAY.